Suburbs have become transformed into one of the most visible signs of the Islamization of France. Anti-Semitism is devouring the French Republic. While Jewish symbols disappear from France, Islamic symbols proliferate, from burkinis on the beaches to veils in the workplace. Jews who have not fled France are trying to become "invisible". France's suburbs are rapidly becoming apartheid societies. Hatred of Jews has become the gateway to "la France soumise" -- the submission of France. Suburbs ("banlieues") -- distant from the affluent boulevards and bistros of Paris -- form the "other France". They are the "peripheral France", ("La France Périphérique") as the geographer Christophe Guilluy calls them in an important book. They are where "living together" between communities has really been tested. In the last 20 years, these French suburbs have not only become "concentrations of poverty and social isolation", but have gone from being some of France's most densely-populated Jewish areas to "lost territories of the Republic", according to the great historian Georges Bensoussan, in his book, Les territoires perdus de la République. Anti-Semitism has returned as one of Europe's worst diseases. France hosts Europe's largest Jewish community, and Jews have been fleeing the suburbs to either emigrate or move to gentrified districts of the cities, where they feel more protected. What happens to the Jews will have a seismic impact on the entire continent. In the Parisian suburb of Bagneux, someone recently vandalized the memorial plaque for Ilan Halimi, a young Jew who was kidnapped, tortured and murdered by a "barbarian gang" in 2006, just for being a Jew. At the time, it was France's first case of murderous anti-Semitism in many years. After it, Islamists murdered Jews at a school in Toulouse and a kosher supermarket in Paris. As Le Monde reported in a chilling new inquiry, anti-Semitism now knocks daily at the doors of the French Jews. It has been creating a serious migratory trend: French Jews have become "internal refugees". 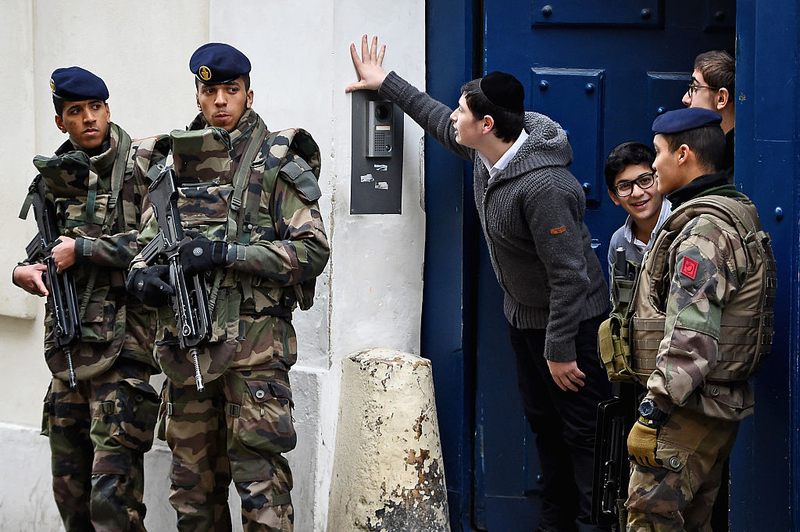 French Jews are now not only threatened in their synagogues and schools, but in their homes. A Jewish family was recently held hostage, beaten and robbed in their home in the suburb of Seine Saint-Denis. Before that, a retired Jewish doctor and schoolteacher, Sarah Halimi, was beaten and thrown to her death from her balcony, in the Belleville district of Paris. The man who murdered her, while yelling "Allahu Akbar" ("Allah is Greater"), was a Muslim neighbor. Two Jewish brothers were recently attacked on a Paris street by men wielding a hacksaw and shouting "You dirty Jews! You are going to die". Recently, "Paul" received a letter containing death threats, in his mailbox at Noisy-le-Grand. 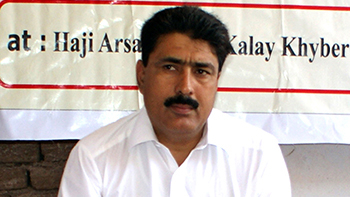 The note said, "Allahu Akbar" and contained a 9mm bullet. The next day brought second letter. That one said, "you will all die". This time it contained the bullet of a Kalashnikov rifle. Many Jewish families, warns Le Monde, are under pressure. In Garges-lès-Gonesse (Val-d'Oise), young Jewish men who had built a temporary autumnal hut (a sukkah) in the yard of their synagogue were attacked in the neighborhood by people shouting, "Dirty Jews". Historic Jewish quarters have been emptied. Jérôme Fourquet and Sylvain Manternach, in their book, "L'an prochain à Jérusalem?" ("Next Year in Jerusalem?") tell of Jewish children leaving public schools in favor of private ones. Organizations have been helping 400 Jewish families relocate their children into private schools, to be more secure. Between 2005-2015, there were 4,092 anti-Semitic attacks in France. According to a September study by the Foundation for Political Innovation, 60% of Jews in France said they were "worried about being physically attacked in the street as Jews." After the Paris terror attacks in 2015, a Jewish Agency-affiliated think tank prepared a plan to help 120,000 French Jews emigrate to Israel. There were 5,000 departures in 2016 and 7,900 in 2015. In addition to a total of 20,000 Jews emigrating from France to Israel in the past three years, there has also been an internal "high mobility" shift, from the eastern to the western part of Paris -- to the sixteenth and seventeenth arrondissements. In the last 10 years, "60,000 of the 350,000 Jews of the Île-de-France have moved", according to Sammy Ghozlan, President of the National Office of Vigilance against Anti-Semitism. The French government has launched an operation to protect 800 synagogues, schools and community centers. But as Le Monde explains, there is little it can do to protect Jews on the streets and in their homes. Islamic anti-Semitism is devouring the French Republic. According to a study conducted by Ifop, "exposure to anti-Semitic violence is highly correlated with wearing a kippa". The Jewish skullcap has disappeared from public view in many areas of France. In Marseille, it was explicit -- a local Jewish leader called on Jews, for their safety, to avoid wearing the Jewish symbols in public. While Jewish symbols disappear, Islamic symbols proliferate, from burkinis on the beaches to the veils at the workplace. Jews who did not flee France are trying to become "invisible". Until the year 2000, the Parisian suburb of Bondy "was nice and quiet, with 250 to 300 Jewish families, and synagogues full on the Sabbath. Now, only about a hundred Jewish families remain", said a local resident, Alain Benhamou, who left after he saw the words "dirty Jews" painted on the walls. Jewish families have also been leaving Toulouse due to anti-Semitism. Former Prime Minister Manuel Valls talked about "a territorial, ethnic and social apartheid". France's suburbs are rapidly becoming apartheid societies. A few days ago, French authorities sentenced Abdelkader Merah, the brother of the terrorist who murdered four Jews in Toulouse, to 20 years in prison for being part of a criminal terrorist conspiracy. The trial was called by a French scholar of Islam, Gilles Kepel, a "biopsy" of the "other France": the Islamized, de-Judaized, peripheral France. "It is striking that after decades spent in France, [Merah's] mother still speaks very poor French and that it was necessary to call a translator to the court", Kepel said. In Seine-Saint-Denis, 40% of the inhabitants are now Muslim. The result? Historical Jewish communities in towns such as La Courneuve, Aubervilliers, Stains, Pierrefitte-sur-Seine, Trappes, Aulnay-sous-Bois, Le Blanc-Mesnil and Saint Denis are now vanishing. Because of the lack of security, in places such as Courneuve, where there were 600 to 700 Jewish families, there are now fewer than 100. For many of these Jews, it is a second escape. 70% of the half-million Jews in France are Sephardic -- those who were expelled from Spain in 1492 and who fled to the Middle East, North Africa and Turkey, rather than to Europe. They came to France between 1956 and 1962, when Algeria, Morocco and Tunisia gained independence -- as did, for example, two French Nobel Prize laureates for physics, Claude Cohen-Tannoudji (1996), born in Algiers, and Serge Haroche (2014), born in Casablanca, Morocco. In a suburb south of Paris, Kremlin-Bicêtre, with a population of 25,000 people, 25% now are Muslim. Until 1990, 10% of the population was Jewish; now it is 5%. Anti-Semitism has revolutionized France -- both its geography and demography. Jew-hate has become the gateway to the "France soumise" -- the submission of France. France is beyond salvage. Charles Martel wasted all his effort back in 732. I can understand that Muslims that follow the Koran, hate Jews, but it is hard to understand why many Jews vote for the left that support for the import of Muslims refugees in their countries? I'm an Irish Catholic who lived in an affluent, predominantly Jewish, neighbourhood in Toronto, Canada several years after graduation from University. My Jewish best-friend Barry, from University, lived but a long stone-throw away. I was one of only a handful of Gentiles on our street. My next-door neighbour Al, was a Holocaust survivor and I was aware there were several other survivors on our street - you can safely assume I was by far the youngest property owner - I was in my twenties. My neighbour 2 doors up was a Cantor at one of the 2 proximity Synagoegues where Barry was married several years later with me in the wedding party. The Cantor hosted a street party each summer, with all residents invited. I met my first business partner, a Jew, from a few streets over at one of these parties. We remain friends to this day. I dated several Jewish girls during this period, any one of whom I probably should have married – but like many of my culture, I have itchy feet and the need to travel. Most of my neighbours were elderly and retired, yet frequently I arrived home from work to find my driveway swept, or the grass mowed and boxes of fruit and veggies on my door-step. I met a Jewish New York based actress while visiting Chichen Itza in Mexico – she still pulls my heart-strings. I'm proud of my Irish heritage but I have, since meeting Barry (and the lifelong amazing friendship he has given me) been drawn to Jewish culture. I'm still young enough to fight and if needed I will protect my own country against the invasion of Islam. And Israel, if you ever need help, just send a signal and I will come. Chaim Herzog, Israel's sixth President, was an Irishman. So the Vichy French Government is back. Where are the anti-semitism laws? Must be too worried about "Islamaphobia" to consider any. History does repeat itself. Hope the politicians from France and other Western European countries enjoy the big payoffs from Soros, Saudi Arabia, etc in this life because they will surely rot in hell for what they have done to the citizens of their countries. I pray the Jewish citizens will escape before they are killed. It's exactly like what happened in Iraq, Iran and the rest in 1948. It's not a decree. It's just part of Muslim terrorism and Jew hatred. At least these Jews can probably sell their property and get cash together for the move. Jews in Venezuela are happy to get out with a suitcase. There's a French community in Netanya, Israel. Really great pastry. Europe the continent of holocaust, Jew persecution for the last 1000 years. First by the Catholic Church now by the barbarians of the cult called Islam. You didn't ever want Jews so cosy up to the Muslim hoards they will soon find you and murder you along with the socialist thugs. France will be first then Germany have a nice life under Islam. Jews are indeed a loss to France. The country does not have a very good record in the way it assisted Hitler during the war by deporting its Jews to the death camps. Now it replaces these peaceable people with the uncivilised dross from the East. Merkel of course is partly to blame and no doubt she will suffer one day for her stupidity. If I was Jewish I would learn from history...first the Left has abandoned you...you were once their darlings...no more but now the bitter barbarism of Islam. If you read the Quran you soon discover what Islam thinks of you...and it NOT pleasant! I would be moving to Israel all the elements are there for evil to be advanced on the Jewish population since you cannot guarantee the support of Leftist or indeed far right governments in Europe.....go and be safe. If only there was a safe country for Christians to escape to when the inevitable happens in our countries. The problem isn't anti-Semitism, but Islam. There are certainly French who don't like Jews, but it is Muslims who are attacking and killing them. The problem will only get worse if Muslim immigration is allowed to continue -- it won't improve unless most Muslims immigrants are deported. Why is the French Government allowing its Jewish people to be bullied by these vicious newcomers called Muslims? And why are they allowing any more in when they see the problems they are creating? Forgive me, but I am bound to say that the Jewish people who have left France (smart move) are France's great loss. The spinners of gold are gone - enter the refusers to work, the instigators of thousands of burned cars, riots, and destruction on a scale only seen during WW2. Add to that, the descent to cultural expressions only seen thousands of years ago - AND that France is now officially broke......yes, it's true, France, and many other EU countries, are now officially out of cash. I am not ordinarily harsh of mind, but in this instance I would have to agree with that worn statement that a people gets precisely the kind of government that they deserve - being those who voted the idiots into office. don't be too harsh; they only voted the traitors and idiots in because the left has controlled education in eurabia for decades. leftist bulls**t is memorized in place of learning critical thinking, so it's hard to figure out the real world without tools - or valid information. Angela Merkel, among others, drew an explicit connection between the migrant crisis and the Holocaust, as if welcoming what turned out to be predominantly male and Muslim economic migrants would somehow make up for murdering six million Jews. Might I suggest that protecting today's Jews from today's anti-Semites might do more to scrub the schmutz from the European conscience? There was an apocryphal Danish King, who followed the German occupation's order that Jews must wear a yellow star with his own royal decree that all Danish citizens must wear a yellow star. So here is a suggestion for any Gentile (including Muslims) who would like to signal his or her absolute belief that the immigrants are not a threat to Europe's Jews. Wear a yarmulke. Every day. We have not learned anything, in erasing history we are set to repeat it. It is almost as though Hitler has re emerged in form of "Islam". The politically correct will be the ones with the the blood on their hands this time around, as anyone capable of speaking up to avoid such atrocities will be shouted down....indeed, these are very bad times. Europe is a lost cause. Good grief! This sounds really bad. Why, oh why won't people leave people alone? If someone doesn't like someone, or disagrees with them on whatever grounds, it doesn't mean they should go around beating them up or killing them or whatever. It makes me feel sick. What is wrong with people? While it is undeniable that historic Jewish quarters have been decimated of its residents by (usually) poor Muslims - the ghettoisation of cities like Paris and Brussels has a lot to do with the very large numbers of Muslims of North African descent who huddle together with their own kind instead of making efforts to assimilate. All the beggars on the streets of Paris and in the Métro almost without exception, are Muslim. The Jews are far fewer in number and do not beg. Can this steadily increasing Muslim population be educated out of their dependence, prejudice and violence? I very much doubt it. How's the "Islamophobia" problem in France? What has been the backlash against Muslims for their attacks? Aren't Muslims the REAL victims here? In my list of European countries to visit, France is definitely off my list. I continue to be astounded, at how Europe, despite it's long term history of anti-Semitism, can continue on the path of driving out those who contribute to society, and in so many ways, to bring in those takers full of violent hatred who contribute nothing. After they come for the Jews they will come for the rest of Europe. You can say goodbye to Europe as we know it, or you can fight back. The same it has ever been for centuries now. Jewish hatred is alive and well. Europeans have only tolerated Jews and even then, poorly. Their innate anti-semitism has only toned down due to its odious association with Nazism. It is amazing that France has given in so totally to ISLAM ! For this generation there has to be a realization that their children & grand children will live in an Islamic Nation in 50 years or less & yet there seems to no political will to stop this ??? France is attacked daily yet only capitulation is offered ? It is worse that Marshal Petain & the Vichy Government ! There seems to be only resignation ??? This sobering article, perhaps slightly edited to focus on the undeniable statistics, should be sent to several individual reporters and editors at the Washington Post and NY Times under the title: Stop the NEWS BLACKOUT and start covering Islam In Europe. I think I'll try to do that myself, and advise others to do the same. There is only one country on planet earth that is safe for the Jews: Eretz Israel. Like the discerning Jews in the 1930s, it is high time for the Jewish diaspora to go home, back to Israel. An ex-army speaker of Tzahal is currently founding a new political party in Israel based on Jewish-Christian values. He expects an exodus of millions of Jews and Christians from the USA and Europe in coming years because of rising Antisemitism, persecution and death threats to Jews and Christians married to Jews, emanating from rapidly rising neo-Nazi organisations, Islamists and Jihadists. France is finished. Jews should leave as soon as possible. Thankfully, this time they have somewhere safe to go. France has a history of submission and this most recent submission to Islam will be the plague that will destroy not only the Jewish inhabitants, but all of European inhabitants Jewish and non Jewish. I fear that the Jews of Europe are in for another persecution but this time at the hands of the immigrant Muslims. What a tragedy this is. The France I remember from my childhood years spent there was a nation with terrific pride in its language and culture, in its food and drink, in its architecture and other arts, in its literature and theater, in its music, such glorious music, from the trouveres and troubadours to Charles Trenet and Johnny Holiday. And what is its future? Orthodox Islam has no place for such culture...it is more puritanical than my ancestors the Separatists, but just as determined to serve God by eliminating all traces of what they believe to be evil. I am not even sure I want to visit France again...if its people and culture are in retreat and its culture eclipsed, what are left but ruins? It is frightening to realise that the French are "Doing it again" destroying themselves as they did in the past in two world wars. The frightening part is that the UK is just over the water and will bound to be involved yet again. Pray when is somebody going to realise the threat that is happening and take action against the Islamic creeping doom that is outside everyone's front door??? the Jews must leave now and go to Israel. if they do not have the funds, the Jewish organizations must provide it and Israel has to do the same as their transport of the ethiopian Jews and the yemenite Jews. france is a sinkhole. I am very sad for the Europeans, who are suffering for the guilt of their ancestors. Europeans did not want 6 million Jews. Now they will get 60 million Muslims. Jews, don't try to hide in another gilded ghetto. Come home to Israel. Yet when queried, the vast majority of Jews in France opposed the right to be armed. And do not the Jews of France support those political parties that promote immigration of Muslims? Jews looking to government for protection can expect the fate of the Jews of Hungary in 1944. Are not the Jews of Israel also promoters of living "together" with those of the "religion of peace"? I find it illuminating that those countries devoid of Jews are the most likely to oppose the open immigration policies of Europe. Israel was founded as a Jewish state yet permit Muslims to vote, receive welfare and create havoc.